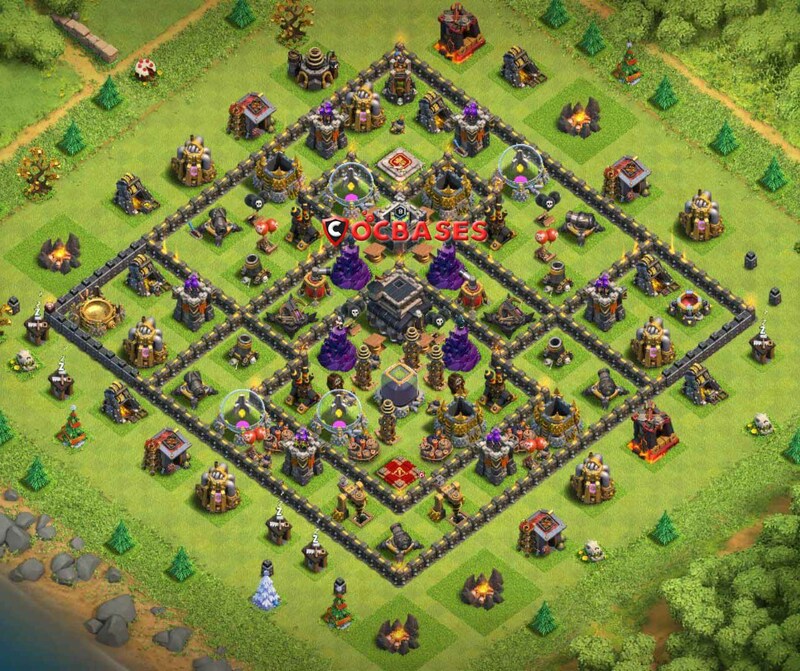 The below design has town hall centered followed by clan castle and bows. there are almost three section of walls where defensive structures are placed. The gold and elixir storage’s are placed in each compartment accordingly. 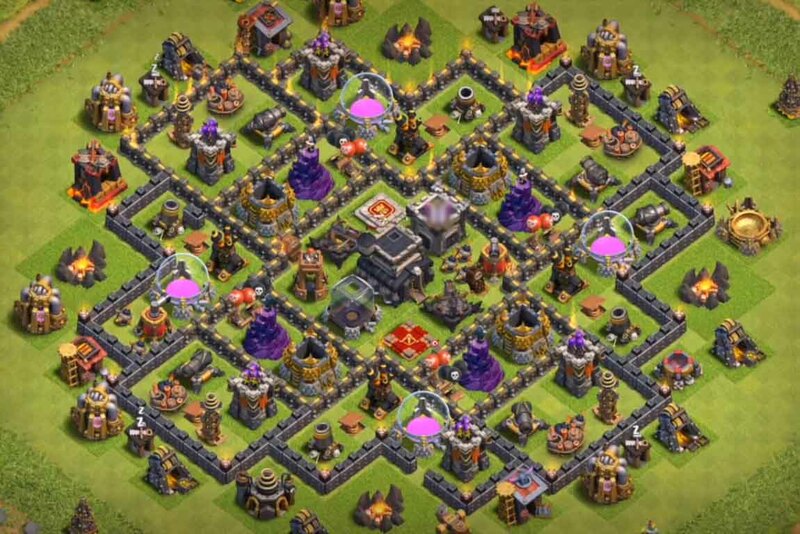 Tesla’s are placed in the outer compartment to defend the enemy troops. 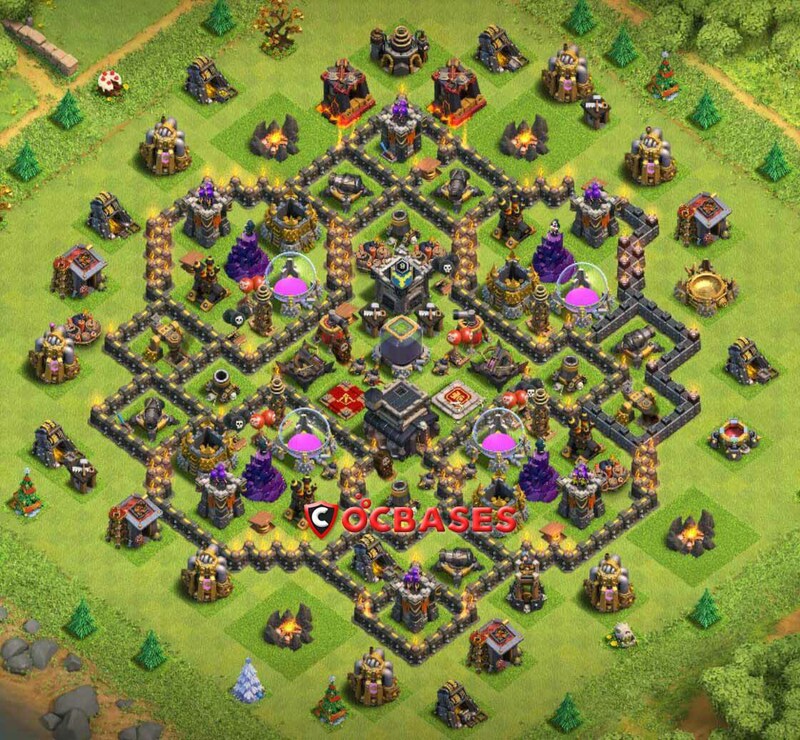 Hero’s are placed along with the x bows which makes a good combination. for example, e assume the enemy is attacking and at the center of the compartment x bows and hero’s defends them at ease. 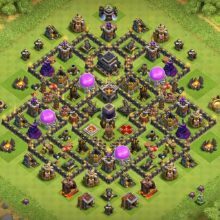 The rest non defensive structures and gold and elixir mines are placed outside the core compartment surrounding the entire base. 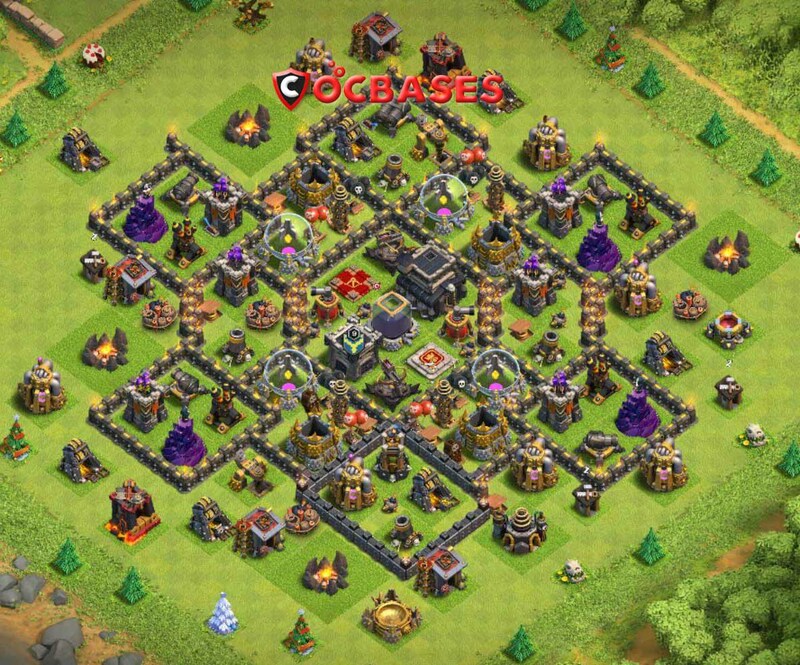 overall this makes an excellent defense base. 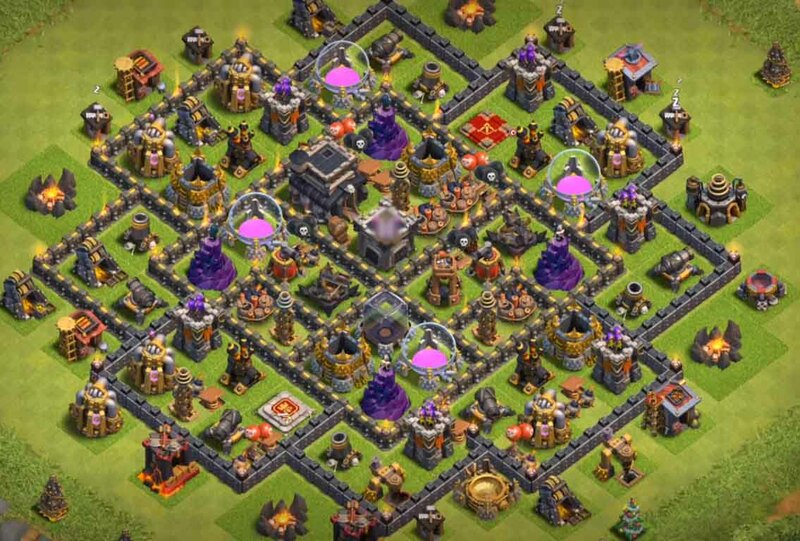 Let’s have a look at the first best th9 defense base. 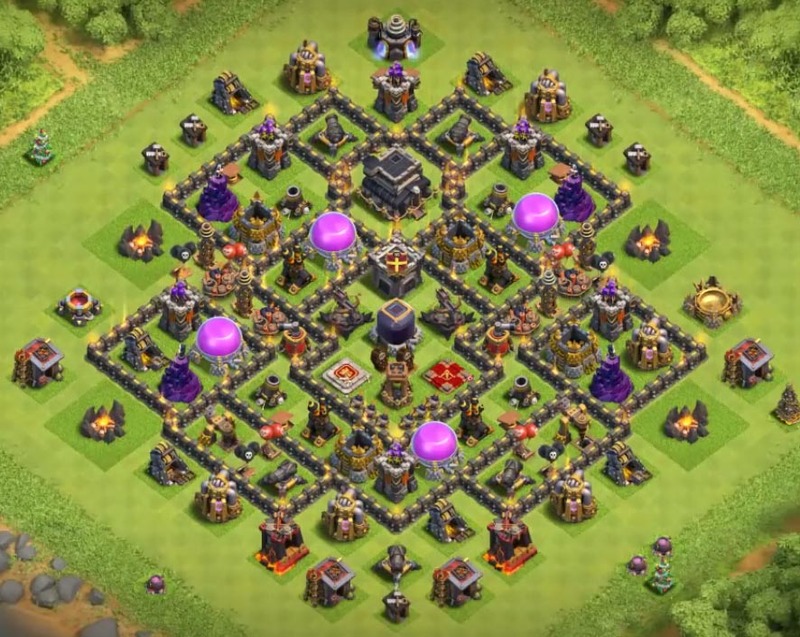 This base has centralized dark elixir storage that is surrounded by four tesla’s. 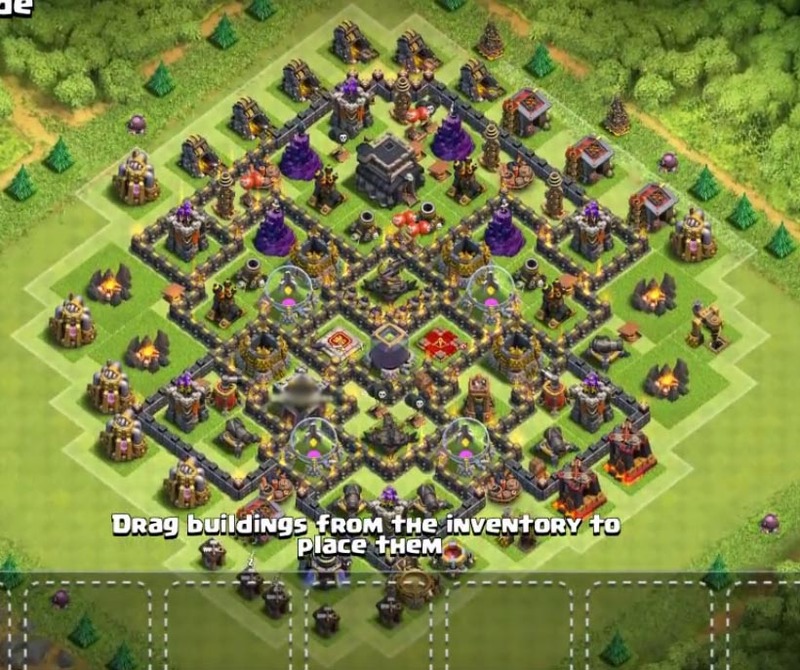 Town hall 9 and clan castle are surrounded from one side and x-bows from another end. 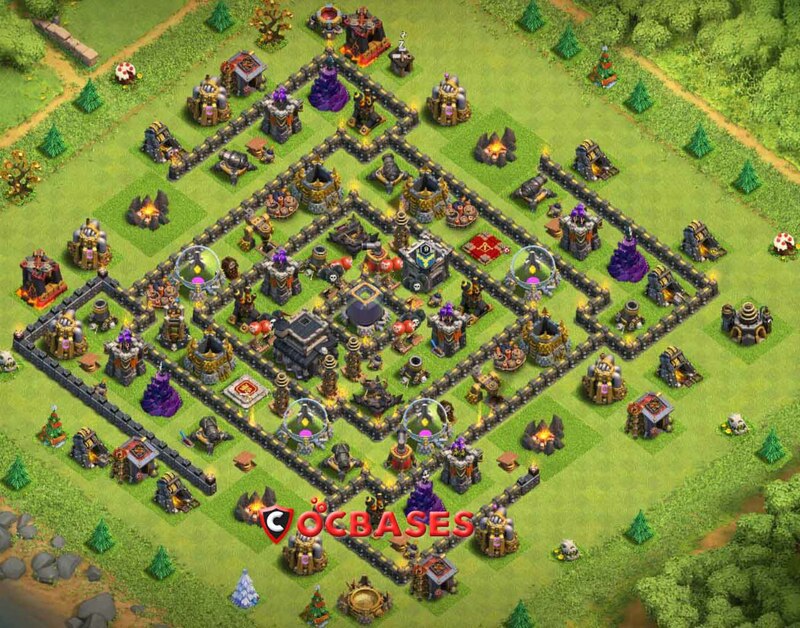 This defense base has unique construction having an open compartment which makes harder for opponent troops to go into the core compartment. The enemy troops go around the base but won’t go inside.the outside compartment is composed of the storage’s and some of the defensive structures. 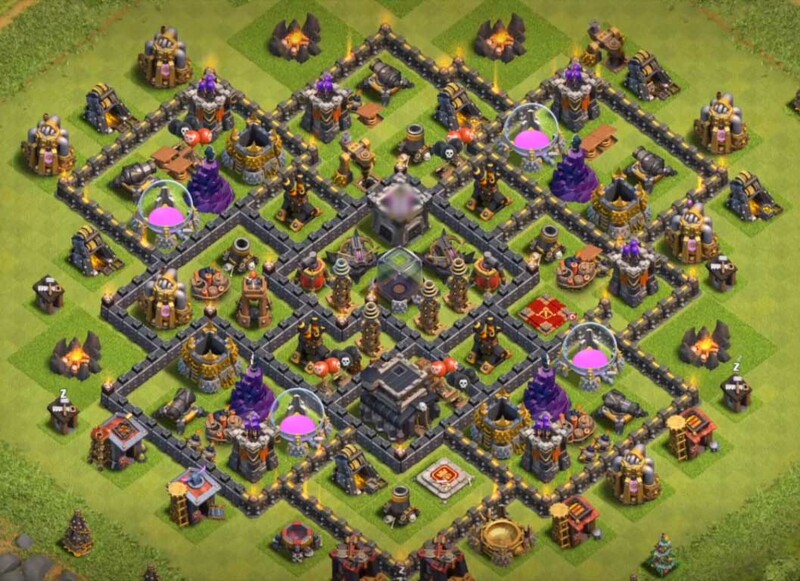 this layout design has well-placed air defenses that will be good at defending air troops. 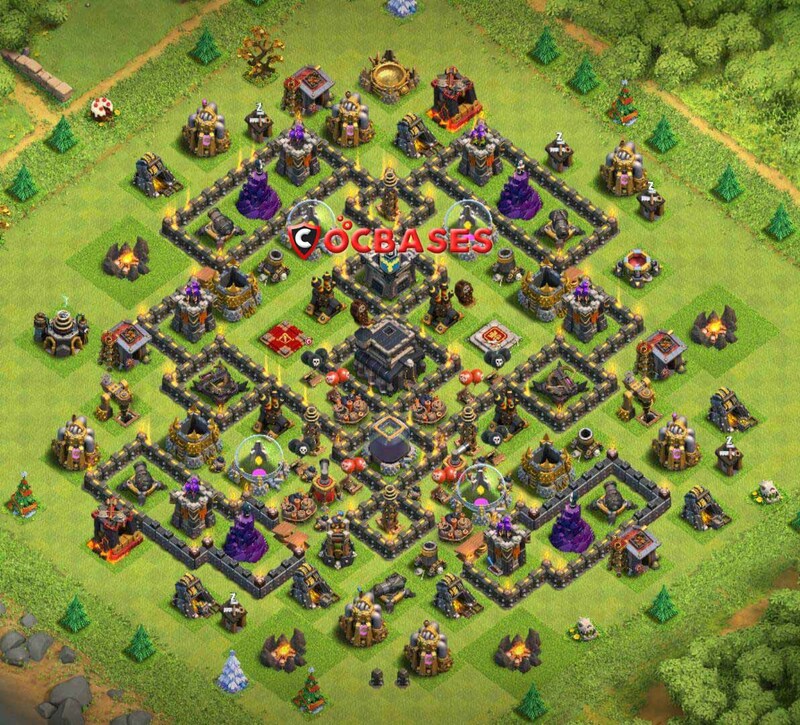 I have taken many lessons …very col bases by the way thx for the tips …..